Activities of Daily Living (ADLs) are activities that adults do every day to carry out their lives. These include bathing, dressing, grooming, going to the bathroom, walking, eating and other basic activities. The vast majority of ADLs are provided by the paraprofessional in most health care settings. 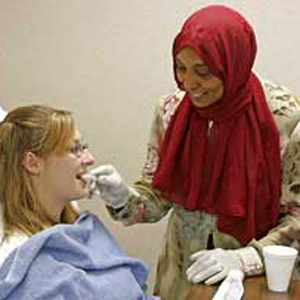 Because of this responsibility, it is important as caregivers to have a solid understanding of the appropriate techniques in providing personal care. The paraprofessional also needs to be able to correctly demonstrate the proper skills necessary to provide personal care. In addition to ADLs, it is important that the caregiver understand and practice the goals of proper skin care and the preventive measures necessary to avoid pressure ulcers. Demonstrate the proper technique for giving a patient a bed bath.